Gift cards may be allowed in situations where it is determined that the expenditures are in the best interest of the University and promote the purposes of the University. For example, gift cards may be provided as an incentive to encourage participation in a UA research study. The determination of whether a gift card is an allowable gift is dependent upon the selection of the recipient, the reason for the gift, and the recipient’s affiliation to UA. UA has partnered with Cadence Bank and Prepaid Technologies to provide departments with a flexible solution for purchasing and providing gift cards to recipients. 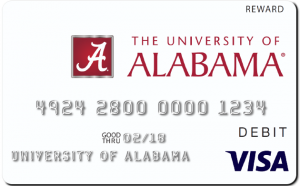 A UA branded gift card is now available that can be loaded and unloaded with any value and provided to departments for various needs. See UA Gift Card Materials for images of the reward card and attached documentation that can be provided to recipients. To request gift cards, please complete the Gift Card Request Form and submit to Accounts Payable. Upon approval of the Gift Card Request, the cards will be issued to the custodian listed. When gift cards are distributed, signature sheets must be obtained from each recipient and returned to Accounts Payable. Prior to requesting the gift cards, please review the information pertaining to the allowability of gift cards and responsibilities of custodians. If you have any questions, please contact Accounts Payable.